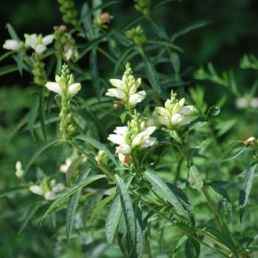 An important host plant providing larval food and nectar for butterflies, bumblebees, and ruby-throated hummingbirds. 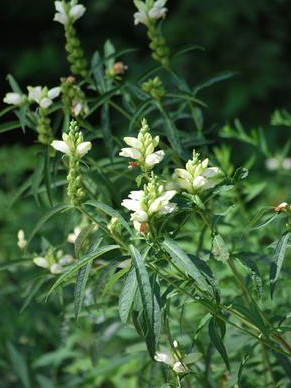 Commonly called turtlehead, this perennial has white snapdragon-like flowers and dark-green foliage. 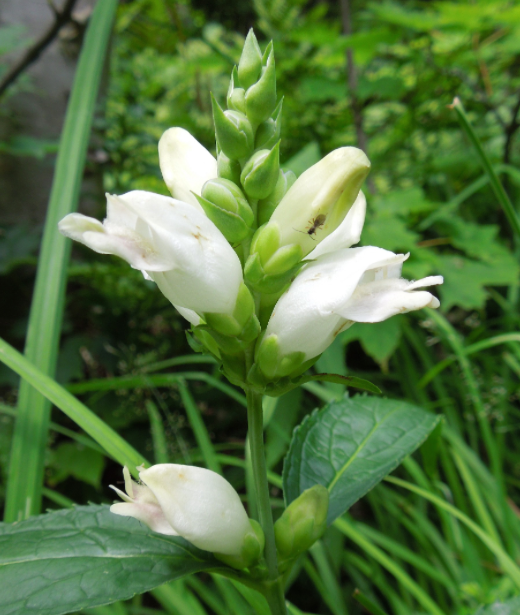 It works well in damp locations and are pest and disease resistant. Blooms late summer and fall.